Hi everyone! 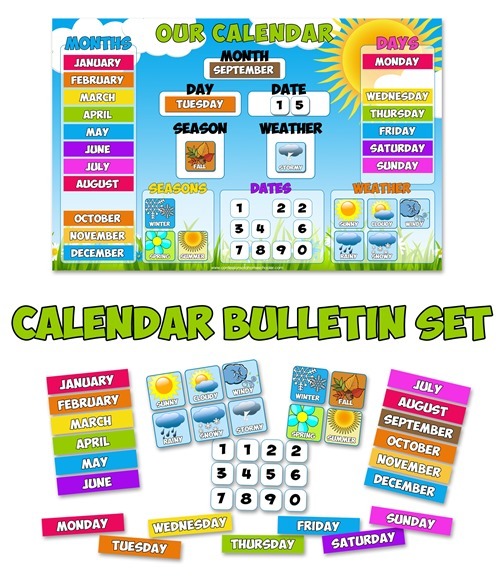 Looking for a fun daily calendar bulletin set you can use in your homeschool or classroom? Look no further! I have a super fun and colorful educational calendar set for you. 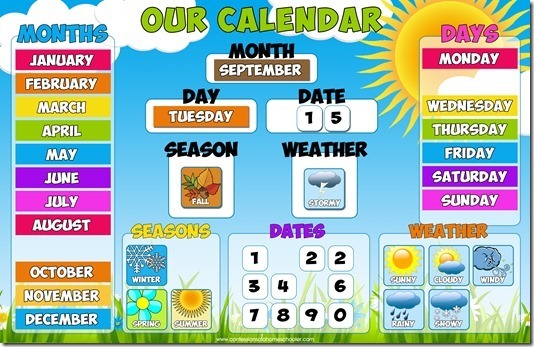 It’s perfect for learning months of the year, days of the week, numbers, seasons, and weather! This printable comes with everything you need to help elementary students review days, months, numbers, seasons and weather all in one colorful pack! I recommend printing on cardstock and laminating for durability. 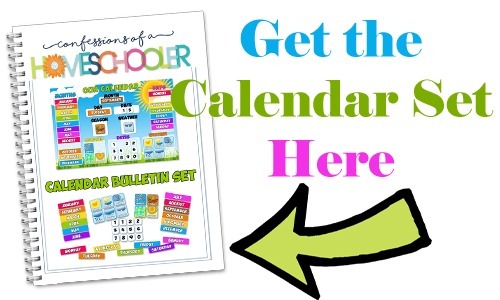 Place Velcro loop pieces to calendar bulletin board and to the backs of the movable pieces. Attach calendar to a cork board or wall for daily use. Have students update the weather, seasons, months, and dates as you go through your year! Alternate idea: Laminate calendar board and movable pieces with magnetic laminate. NOTE: This product is a PDF download. You will not be mailed a physical copy of this product.